Obituary for James D. Carlin | Brewer Funeral Home, Inc.
James D. “Fuzzy” “Papa Smurf” Carlin, 55 of NYS Rte. 30, passed away Friday afternoon, September 14, 2018 at Elderwood at North Creek. Born on April 14, 1963 in Tupper Lake, he was the son of the late Roscoe L. and Betty Lou (Farrell) Carlin. Jim married Tina M. Blanchard on September 21, 1996 in Indian Lake. He had been employed by NYSDOT in Indian Lake. Prior to working for the state, he worked for Hamilton County DOT and NYSDEC at the Campsites and at Gore Mountain making snow. 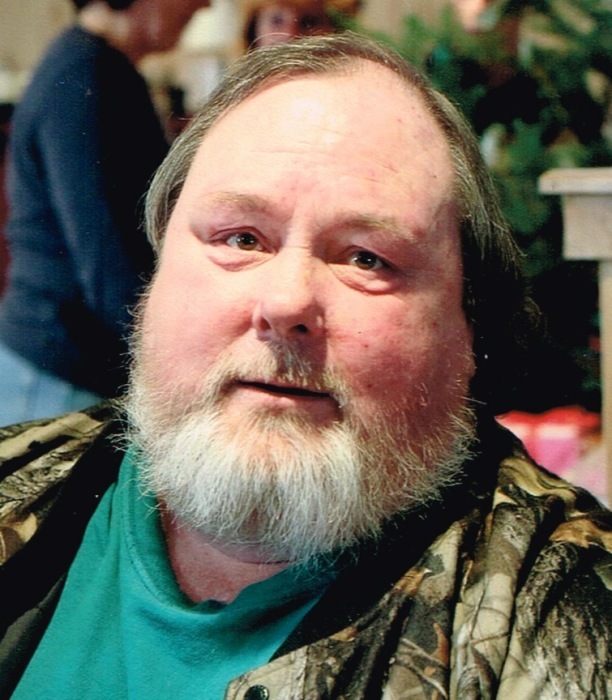 He enjoyed riding motorcycles, snowmobiles, working with wood and visiting with family and friends. He was a past member of the Indian Lake Volunteer Fire Department. He was predeceased by his parents; a sister, Vicki L. Carlin Heitz; his paternal grandparents, Lillian Carlin Sylvester and Roscoe F. Carlin; his maternal grandparents, Dorothy and Kenneth Farrell and an Uncle, Jim Farrell. Survivors include his wife of 22 years, Tina M. Carlin; two aunts, Lynn Dobkowski and Mary Carlin; one uncle, Stephen Carlin and several cousins. Friends may call Friday from 1-3 and 5-7 p.m. at Miller Funeral Home, 6357 NYS Rte. 30, Indian Lake. Funeral services will be conducted Friday immediately following the calling hours at 7 p.m at the funeral home. Contributions in Jim’s memory may be directed to the Indian Lake Volunteer Fire Department, PO Box 773, Indian Lake, NY 12842.